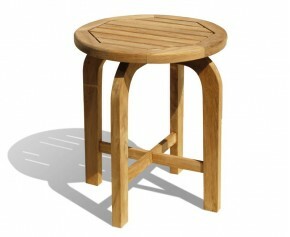 With their modest size and charming style, our teak wooden side tables are guaranteed to look stunning in any space. 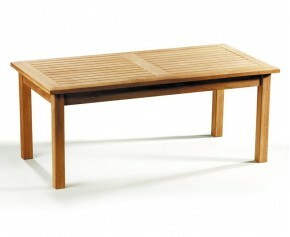 Perfect as a companion to other furniture but also stylish enough to stand on their own, these garden coffee tables will provide you with fruitful use and aesthetic pleasure for years to come. 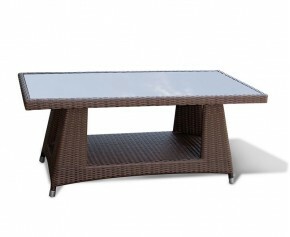 This outdoor rectangular side table otherwise known as an oblong garden table represents brilliant value for money and creates a wonderful design piece that is sure to impress. 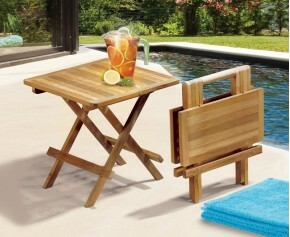 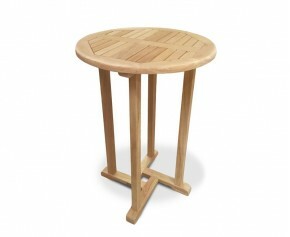 Adding a homey touch to your outdoor furniture, this outdoor rectangular side table has been expertly manufactured in plantation grown A-grade teak. 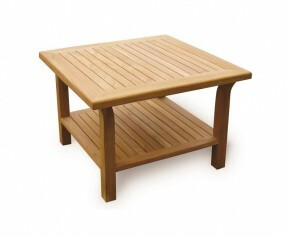 Our patio occasional tables are handcrafted in the finest grade-A teak so not only are you guaranteed extreme durability and longevity, these teak wooden side tables are also weather resistant and can remain outdoors all year round. 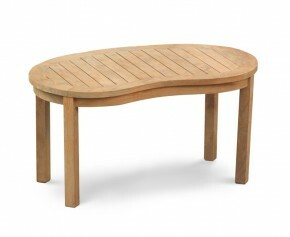 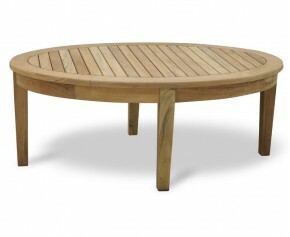 From simple and solid folding garden coffee tables to wonderfully modern Banana patio occasional tables, we offer a wide variety of teak wooden side tables so you are guaranteed to find one that matches your purpose and style. 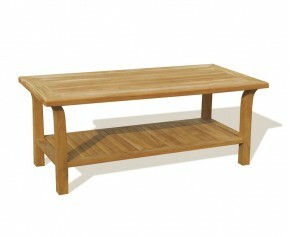 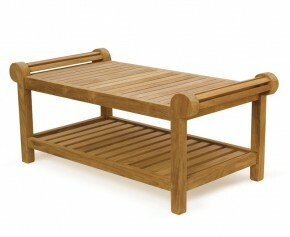 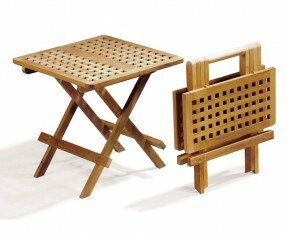 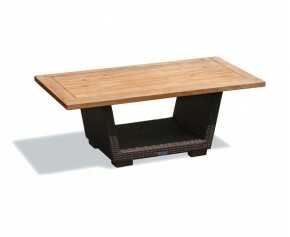 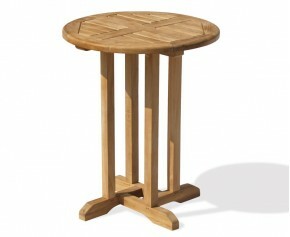 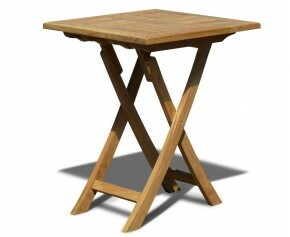 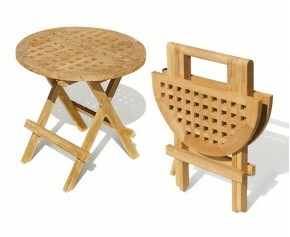 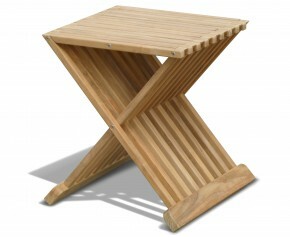 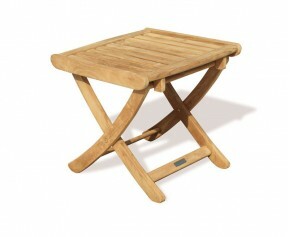 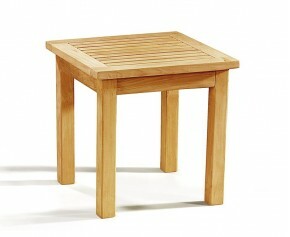 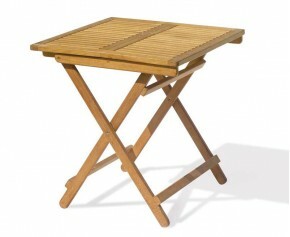 Choose from our selection of teak wooden side tables.